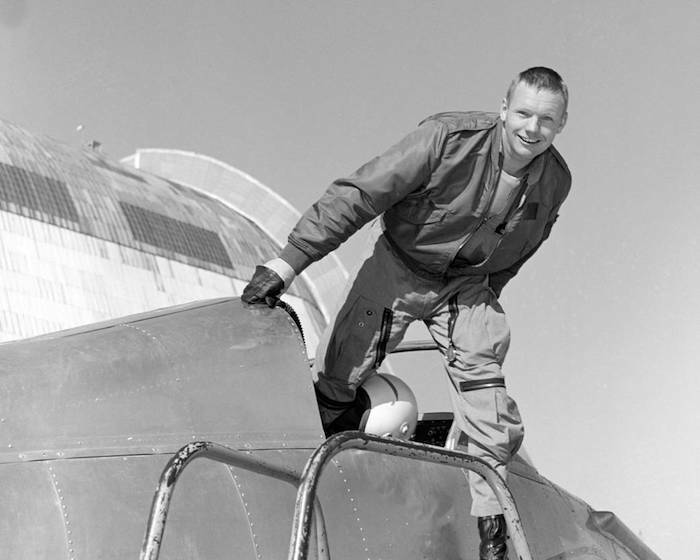 Neil A. Armstrong is photographed in the cockpit of the Ames Bell X-14 aircraft at NASA's Ames Research Center. Armstrong, the first man to walk on the moon, was born in Wapakoneta, Ohio, on August 5, 1930. 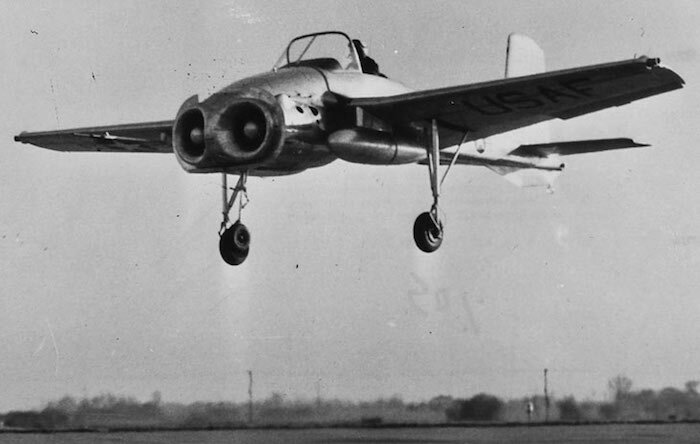 Armstrong joined the National Advisory Committee for Aeronautics (NACA) in 1955. 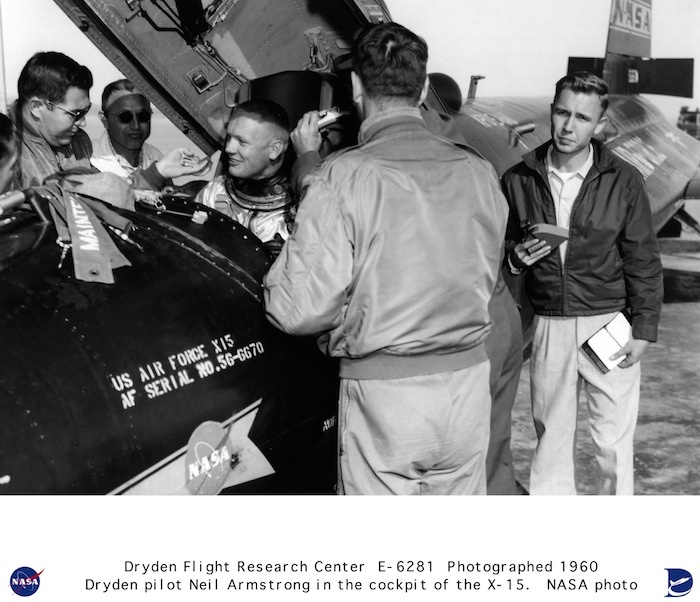 His first assignment was with the NACA Lewis Research Center (now NASA Glenn) in Cleveland. 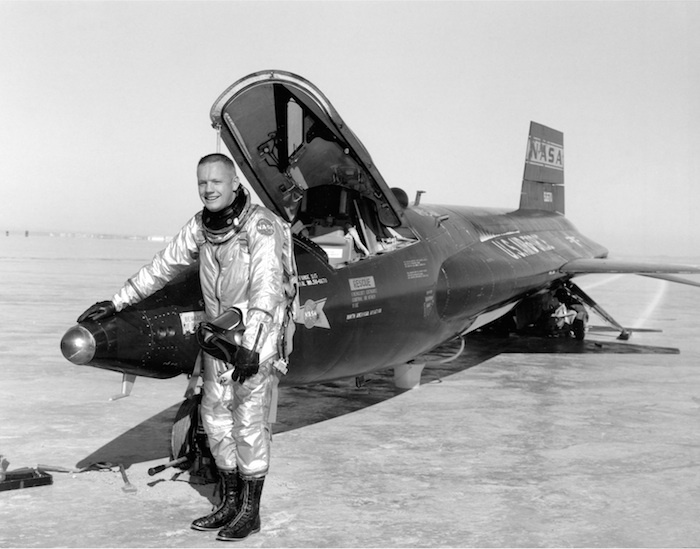 Over the next 17 years, he was an engineer, test pilot, astronaut and administrator for NACA and its successor agency, the National Aeronautics and Space Administration (NASA). 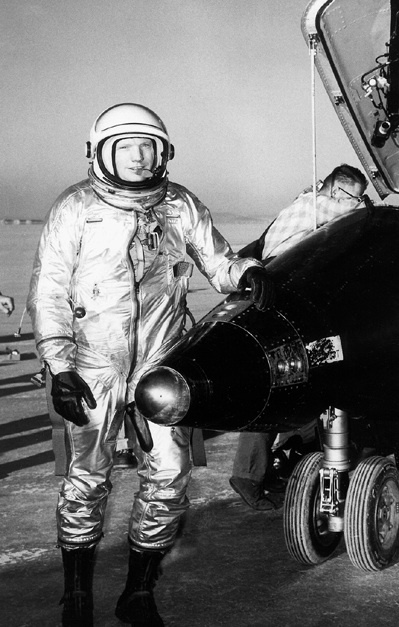 He was assigned as command pilot for the Gemini 8 mission, performing the first successful docking of two vehicles in space. As spacecraft commander for Apollo 11, the first manned lunar landing mission, Armstrong gained the distinction of being the first man to land a craft on the moon and first to step on its surface.